The comments from populist-right Freedom Party defence minister Mario Kunasek comes just weeks after French president Macron caused concerns among NATO allies by calling for a EU army to protect the continent from the United States, among other identified threats. 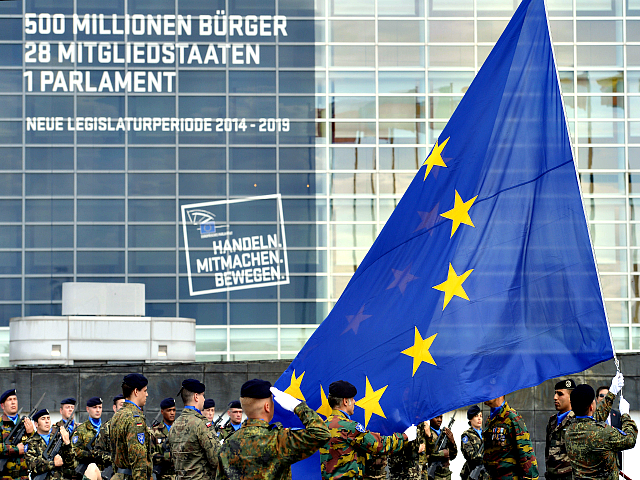 Europe needs “security and defence policy worthy of the name. But that is not comparable to a EU army… What we do not need is a large, closed formation of an army, but more cooperation,” said Kunasek. Instead of integrating European armed forces into a single body, European leaders should look to cooperate more and utilise what strong defence structures already exist — such as NATO. The creation of a pan-European army was once dismissed as a febrile nightmare of British Eurosceptics, who heralded its coming as a clear sign of European integration that was working to subordinate the nations of Europe to a single federal superstate. Former British deputy prime minister Nick Clegg dismissed warnings of a single EU army by Brexit leader Nigel Farage as “a dangerous fantasy” during a debate in April 2014. Fast-forward to 2017, over a year after the United Kingdom voted to leave the European Union, and member states signed up to a European Defence Union. In November 2017, the unified EU Foreign Minister Federica Mogherini said the bloc was working at “full speed” to create a “continental scale” defence force. Globalist leaders Emmanuel Macron and Angela Merkel both turned up the rhetoric on creating an EU army in 2018. Germany called on France to give up their permanent seat on the UN security council — even as they campaigned to get their own seat — so EU headquarters Brussels could have it instead. Meanwhile, France’s Macron used an event commemorating the centenary of the end of the Great War to herald a Franco-German alliance that would in his opinion prevent the world descending into “chaos”. U.S. President Donald Trump reacted poorly to Macron’s plans, however, calling “insulting” Macron’s assertion that Europe needed a single army to defend itself from the United States.